● Each joint is welded with a silver-free wire. ● Brass solid construction, safe and durable. ● For weed burning, thawing ice and paint removal. 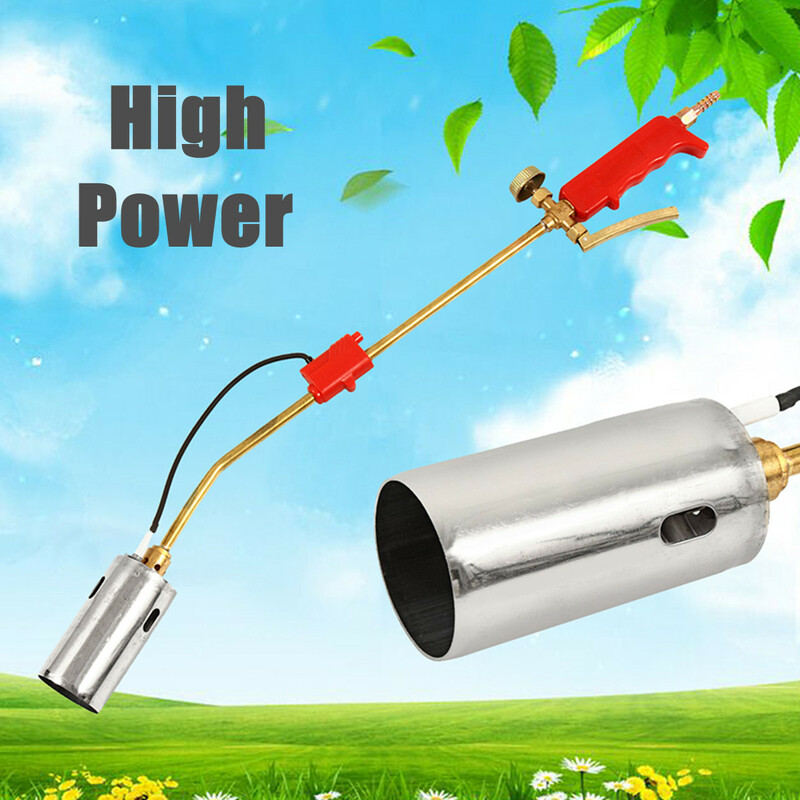 ● High power, high flame temperature, high efficiency. ● Nozzle made of seamless steel pipe, can burn for 8 hours continuously. ● Suitable for food processing, large baking area, other baking industries. – First adjust the air pressure valve to 0.06Mpa, open the rotary valve in a small amount, and ignite at the nozzle. – Adjust the small flame to be used. Generally, the flame length is about 150mm-200mm. When the normal combustion flame is formed during work, it can work.